Features: Durable, and great user experience. Ice Retention: Plenty of ice, kept our beverages ice cold after a week on the road. Warranty: Five Years. Feels durable enough to last. Value: Expensive, but well worth the money in my opinion. Keeps the meat nice and chilled in the cooler for days. Features: Enough, but nothing special. Ice Retention: Lukewarm water after a week of use, could be good for short trips. Warranty: Five Years. Similar to Yeti, feels a tad flimsy. Value: Cheap, a decent value, good for families on a budget. Ever since I purchased my Yeti, I have really begun to clue into the ongoing comparisons that others make with alternative brands while searching for the best coolers. One rivalry that has been getting a lot of attention is the one between my chosen brand, which is certainly Yeti, the Trail coolers made by Ozark. Ozark coolers are sold exclusively by Wal-Mart (also available on Amazon as of 2017), and they have become acting as a sort of house brand for the retail giant. 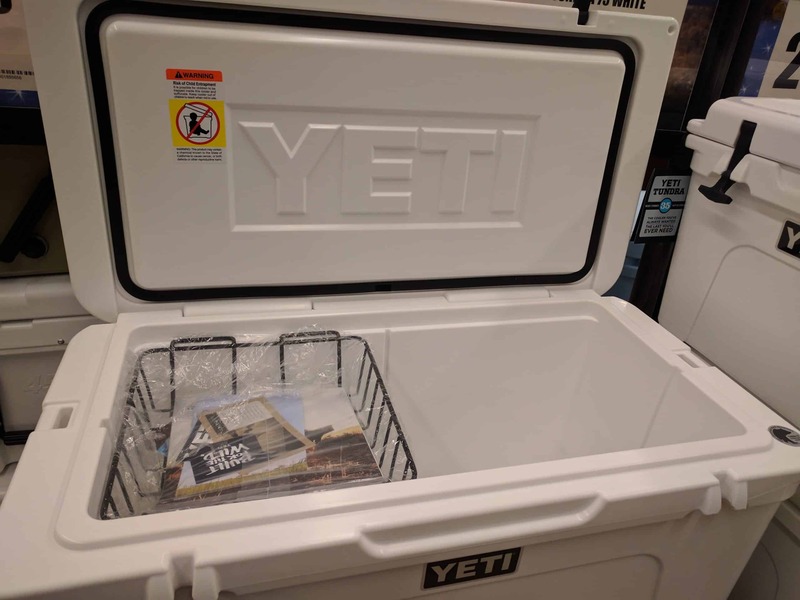 A lot of friends of mine use Ozark Trail coolers, and they sure like to boast about how they did not have to pay as much as me and the other Yeti users. Needless to say, they end up patting their own backs and having a good laugh about the foolishness of Yeti cooler owners. I’m glad they’re happy, but I’d like to officially bring my point of view to the discussion: they’re also wrong. Ozark, the brand made by Wal-Mart, is a clone, its a knock-off, alternative– it is manufactured in a cheaper way, and it does not hold ice as long. These are just a few standout issues, which have good company among other inferiorities brought to the equation by Ozark. Cooler enthusiasts have been becoming more aware of the prominence of Ozark models on the market. They are only available at Wal-Mart, as they have a specific deal with them. Like Yeti, and many other brands who manufactures premium quality coolers, the cooler is roto-molded and insulated. My initial impressions of these Ozark coolers were pretty strong. I’ve got a friend with an Ozark Trail, so I took my Yeti over to his place, and his was agreeable enough to allow me to perform as ice test. He was aware that I had some issues with the brand, and definitely is not a fellow who lives and dies by the Ozark sword; he just liked the value for the dollar, which I think is totally fair. They look a little bit alike, but the Ozark is considerably more awkward and cheap looking. 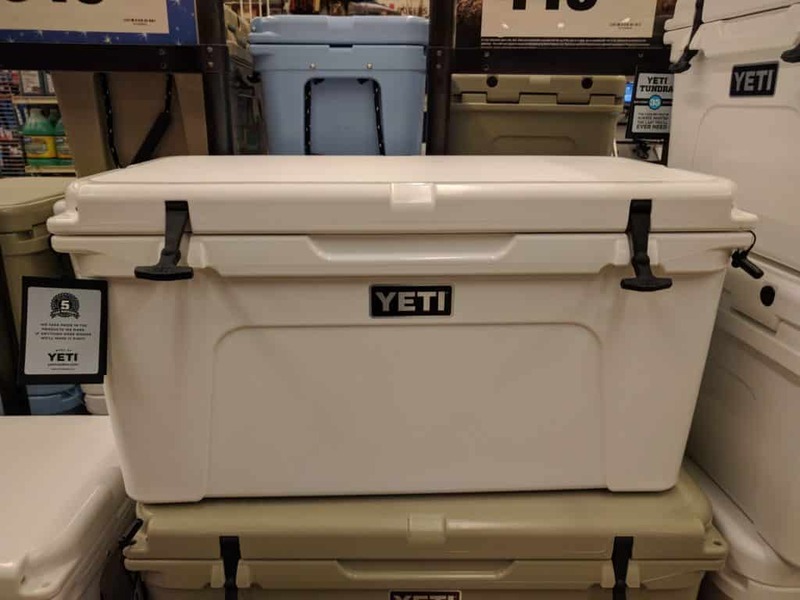 Like RTIC and many other brands, I have to think twice before calling their coolers and products “knock offs” of Yeti products. It may be harsh wording, but I believe it to be true. As I mentioned before, the Ozark is practically a clone of a Yeti. As well as being a brand, Yeti has also become a style of cooler. Though there are things to be said for using the innovations of competitive products, I think there is something to be said for paying a bit extra to go for the model that everybody else is copying, rather than settling for a less expensive, more cheaply made “knock off.” Also, a product backed by Wal-Mart doesn’t necessarily inspire confidence as far as morality goes, in my opinion… Not that I have a huge problem with Wal-Mart, but they’re not exactly an innocent little Mom & Pop shop. I think this is a clear decision for Yeti, who innovated their own product and created their own design… Rather than depending on a great company to come along with an idea to steal, Yeti entered the scene and set the standard, which many competitors borrow from. Though it’s simple, it’s slick and modern, and Yeti wins this by a long run. To put it simply, there is no way that Yeti is losing this battle to most coolers, perhaps most specifically that applies to the Ozark. The Yeti manages to fend off some pretty tough competition; I don’t think that the Ozark qualifies in that category. The Yeti won the ice test by at least a day. The Ozark hardly lasted 4 days, while the Yeti had enough ice left in it at that point that it looked like it would last at least 2 more. And that was in quite a cool environment; because of the inferior insulation, I have heard Ozark Trail users complain about their ice melting between 8-12 hours, which is not at all acceptable for a product claiming to be a valid competitor to industry leaders. As far as coolers go, this is the definitive quality, in my opinion. I also think that the Yeti is generally made from higher quality materials and has a more organic, user friendly, and natural feel. The Ozark is made in China, and completed with unsatisfactory rubber latches which seem pretty feeble. Ozark hardly puts up a fight. This one goes to Yeti. What cooler you deem to be more valuable will ultimately depend on your priorities. If you are looking for a better cooler, and prioritize quality above other aspects, the Yeti’s high price also represents much higher value for your dollar. Yeti offers a great warranty, and is an industry leader in almost every quantitative field that applies to premium coolers. At the end of the day, you are comparing an original to a clone. What I can say about the Ozark Trail, though, is that it hardly even classifies as a clone. If you are looking for a Yeti knock off, there are better brands on the market. Still, I think that you would be better off making a conscious effort to save up a bit more money and invest in the real deal. How much ice are you actually going to get for what you save. Ice cubed remained present in an Ozark for 4.5 days. That also includes opening and closing to remove prepared meals so it was filling with air instead of product during the trip. It was on sale and at that time less than a third of the price of the Yeti that had a sticker on it claiming the same amout of days of ice. It’s a no brainer unless you like buying CEO’s a third vacation home. Was this in the winter? Ours Ozark won’t hold ice for 24 hours! Returning! I live in Phoenix AZ and have a 73 qt Ozark. I use a 1 gallon bottle frozen and cube ice. I had cold food for 7 days. I use it for food so I’m in and out of it all day. I do try to keep it in shade as I do with any cooler but for the price it works for me. Just went camping, precooled my cooler the night before filling with ice all the way full. Lasted 4.5 days in 90 degree weather (not directly in sun tho) when I came home I pulled a chunk of ice out and water would freeze your hand. Way worth the money! My Ozark cooler was in my truck for 6 days with bedcover on , temp around 85°-90° . Still ice in it and water was so cold you couldn’t stand to have hand in it for very long at all !! I think if I was spending that much on frozen water at a store, I would be more concerned with making my own frozen water for cents than the price of the cooler it melts in. geez,finally someone thinking like me..
That’s what I did while I was using igloo coolers I went out and bought an ice maker for my house. Between work/fishing/camping I was spending a lot in ice. The ice maker paid for itself in 1 years use! With that aid I bought a large ozark trail with bounces between my truck and the boat and I couldn’t be happier with it. When I cooler is getting opened constantly during a day it won’t retain ice well no matter who makes it so why spend it on a yeti! I don’t (haven’t yet) canoe camped in grizzly bear country but I have (do) in black bear country. I use a cheap cooler and pray bears don’t get it at night while camping in the backcountry. If the ice did not last in the Ozark Trails (a brand I normally hate and wouldn’t spend money on, but is so much cheaper in this case) as the Yeti but it kept the bears out of it I’d consider it a fair tradeoff for the cost. If the ice lasted 4 days it would last as long as my average canoe camping trip. Probably should have reviewed two coolers of the same size to get an actual comparison. A smaller cooler should not last as long as a larger volume cooler. Even YETI to YETI this would be the case. Not knocking this post, but it sounds like the comparison was written by a closed minded Yeti fanboy. I don’t have a dog in this fight, but if I were to pick one it would be the Ozark. There’s not enough of a difference between the lot to justify spending the extra money, unless you want to stick one of those trendy stickers on the back of your always shiny 4WD Chevy Silverado…you know, the one mommy and daddy bought that will never see a speck of mud? Yeti’s are fine and all, but their prices are too high. Ozark may be a little behind them in performance, but their price is also a lot more affordable. At the end of the day, we’re comparing devices that hold ice. Really nothing to get too excited over. The YETI is GREAT, and if you absolutely, positively must have 7 days of ice when there is no way to replenish, then YETI maybe the only choice. 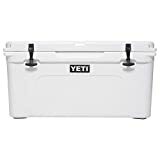 From a position as one who typically does 4, maybe 5 days in the high desert of California, where it is 95 to 105 degrees from late May thru Mid September, Ozark at 1/3 the cost of a YETI, is a FAR MORE reasonable purchase FOR ME! With either, start with about 10 # of dry ice on the bottom, under the water ice, and you will get a about 40 even 50% longer life from your water ice. Increase that when you wrap all sides, and the top with REFLECTIX. You will be rewarded with another 18 to 24 hours of frozen water ice. Dry ice produces carbon dioxide gas that is not safe in inclosed places. I have always heard not to use dry ice in a closed container. Any truth to that? Yeti is the original? Engel has been making a roto-molded cooler much longer I do believe they were the first. So yeti is a clone of Engel? I dont know what all the fuss is about with Yeti just buy the best you can afford (best not expensive) and enjoy life. Read reviews. Bought the Ozark. I just can’t shell out for the Yeti. I will say the Ozark seems a lot heavier – empty – than the Yeti. While I am financially able to buy the over priced Yeti. I have my funds due to not wasting it . Buying an extra bag of ice occasionally is not so bad considering how often I use it . when your the first to make something you can charge whatever you want and after similar items become available its hard for yeti to lower the price i assume because then everyone will know for sure the got price gouged. shame on you yeti! Well Yeti’s marketing team won an award. So that should tell you something. These companies put a lot of money into marketing a product to get people to want to buy it. Marketing can make a company A LOT of money. (and cost unsavvy consumers a lot of money too). “My Pillow” started charging $85 each when they first came out… Marketing can win over customers who are convinced they are getting the best. No shame, or scamming in overpricing something–as long as you can convince people to buy it. $10 for a two pack of memory foam pillows at Costco means I get to keep $160 in the bank, instead of buying overpriced pillows. Profit margin for those “my pillows” must be ENORMOUS. Tip for money conscious campers: Freeze a pack of water bottles the night before you leave. Free ice–and it lasts longer than cubes. My vote is for Ozark. I own a yeti and I love it! 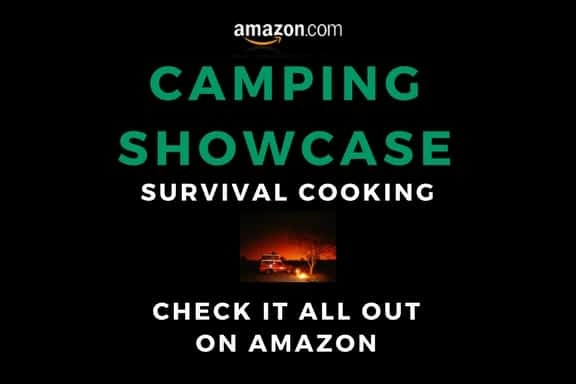 We camp a lot in some places far off the grid and I wouldn’t leave home without it. If I were living out of an ice chest like truck drivers and oildfield welders do, I’d spend the money on a Yeti because those extra couple days will add up in the long run. For what I use my coolers for, an old fashioned Igloo is fine. I always laugh at those that absolutely have to spend hundreds on a Yeti just to keep their 12pk cold for sat night. To he honest, that makes up 95% of the Yeti owners I know. The other 5% are truckers and welders who use their coolers daily. I bought an Ozark 20 because I was on a road trip and my soft side cooler ate 10# / day sitting in the. Front car seat. Once the OT20 was cooled it held ice about 20 days. The only problem I had was it pulled a vacuum while cooling and I had to use a tool to pry it open to break the vacuum. I think it’ll do okay for general soda/beer use. I got a Yeti35 using my credit card points. Haven’t used it but it looks better designed and built. It was basically free so we see how it stacks up very soon. They both have a place in my camping. Oh yeah, the ice I used was from Sonic, small pellets, not block. Just last week I bought the OT52 for a 4 day camping trip with friends (because that is what I could afford). There was a Yeti and an Orca of about the same size there. Everyone laughed at my “Knock Off” Cooler. The average daily temp was 94, the nights got down to the high 70s. All three were kept side by side under a pop-up that never saw direct sunlight because of trees. We all stored food in them. Drinks were stored in a big Walmart Iglo cool to prevent opening the food coolers to much. However, we cooked 3+ meals a day so they were all opened a bit. At the end of the trip the Yeti and the Orca were both very cold but full of water with a little bit of ice. The OT52 was full of ice with some water. Milk, Cheese, raw chicken were all perfectly ok. Everything in the Brand name coolers was thrown out. So Why? How did my $135 cool win? Cause I did it right. I pre-chilled the cooler, I put a 10lbs sealed block of ice in, loaded frozen stuff low, covered it, then cold stuff and filled all the gaps with cubed ice. The other 2 guys just thought since they had the big names they would be fine to throw the food in and some ice. Bottom line, use it right and it will do fine. If I decide to go one a ten day trip maybe this would be a different story. But I bet I could have gotten at least 6 out of the OT. Everyone who says their ice does not last is using the cool wrong. Sorry. But it is hard to argue with this real world test. I had no brand loyalty. I just had 150 bucks and needed a cooler. So I took 5 min (ironically on the Yeti website) to learn how to use it. I compared a lot of coolers and a lot of reviews and decided for the Yeti Tundra 35. I thought a lot about the price but at the end of the day you want good quality. You invest in many coming years – so it’s worthwhile! My cousin did ice a ice challenge between my Yeti and his Ozark, and Yeti won by at least one or two days. By the way, not to support the NRA is a good thing in my opinion. There are far to many weapons in the hands of persons who don’t need it and in the hands of persons who should’t have it. Far too many kids and persons get daily killed daily in this country!!! I own both a Yeti and an Ozark…comparable size, we use them early season elk archery hunting in Montana. Last year mid-day temps were in the 90’s and the results were very similar between the two as far as ice retention. I do prechill both coolers in my large freezer for a week prior to my trip and that makes a huge difference in ice retention. If the Ozark Trail cooler had been referenced in a country song, we’d be spending $250 on them. It’s clever marketing and the sheep mentality that sells Yeti’s overpriced products. My 26 quart Ozark Trail will hold ice for 3+ days with little pre-chilling, and I got it for $86. If buying a Yeti is what makes you’re friends think that you are cool, by all means, waste your money. If you’re already damn cool, like me, you don’t need to spend an extra $200 on a cooler to impress your peers! And if some a-hole decides to steal my cooler, I’m not $250-$300. If you’ve had a bad experience with Ozark Trail high performance coolers, you’re probably doing something wrong. I agree…..I bought an Ozark trails 52 last summer when I was cross country, put in dry ice and block ice in California and there was still some block ice left when I got back to NY 6 days later. Oh, and the cooler was inside a vehicle the whole time and many days in a locked hot vehicle. More than 40 years ago my ex-wife and 3 friends paddled open canoes 10 mile out to Horn Island off the Gulf Coast in July. In the sun for 3 days. We had 2 Colman ice chests with block ice, frozen drinks and some dry ice which we put in the bottom. We were careful to open the chests only when it was needed to so. Never ran out of ice. Summer on the Gulf of Mexico is hot, and we were never in the shade. Use your head, not your money ! Want to make any cooler to last longer? Use old towels. Lay one inside a pre-chilled cooler covering bottom and sides and after filling with whatever fill rest of cooler with old towels. Keep all space filled. It works great I know from experience. I enjoy my yeti 60, yeti soft cooler and vibe 25 qt cooler! The key with keeping the items cooler longer is to chill the cooler a few hours before your ready to pack! I’ve had drinks stay ice cold in my yeti soft cooler for 4 days in the back of a suv with summertime hear of 95-100 degrees. I also recommend freezing a few water bottles as well! Have an Ozark Trails 27 qt.cooler that I use inside my sailboat that doesn’t hold ice worth a damn and sweats like a pig. The lid never seems to me to fit down snug like I would think it should. Yet the ones I see on the videos don’t look to me to be fitting any better. THAT SAID—now that I read that YETI IS ANTI -CIVIL RIGHTS ( You know— the 1st, 2nd, 4th and 14th amendments to the U.S. constitution I WOULDN’T BUY A YETI IF I HAD TO CARRY ALL MY ICE IN MY UNDERWEAR!!!! Screw Yeti.